This book does not intend to pile up in one of the many post-capitalist, post-scarcity good works that there currently are on the shelves. 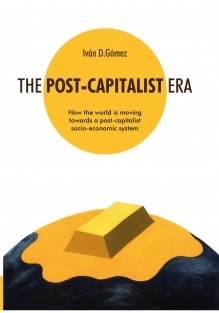 Indeed, what this book intends is to determine to what extent many thinkers including myself believe that the current socioeconomic system, namely, Capitalism is in the last end of its existence at the beginning of the 21st century. A majority of authors do not like to get their feet in muddy waters surrounding issues such as the end of Capitalism and try to skip it as much as they can or simply ignore it. Each writer has their reasons to behave like that as they may fear credibility or reputational loss that might make their works less marketable. Uncertainty about the future in relative and absolute terms has been on the rise among people from the old core and so has been the demand for explanations on how we have got here, what is really happening today worldwide, as well as what is to be expected in the near and in the long term. The current economic, ecological, social and political crisis has provided me with the inspiration to write a book that seeks to convey the research, knowledge and expertise of some of the most prestigious contemporary thinkers and academicians such as Immanuel Wallerstein, Manuel Castells, Ian Bremmer and classical thinkers such as Adam Smith or Karl Marx in order to understand the functioning of the current socio-economic system (Capitalism) and what the chances are for its transformation into a new socio-economic system.